A reminder to readers that two Piri' Miri Muli' recommended shows that were the second and third links at the bottom on 28 September (after the frequently and aptly praised, now closed, Kara Walker show) are ending this Sunday. Recently I did in fact revisit them both in the same day. 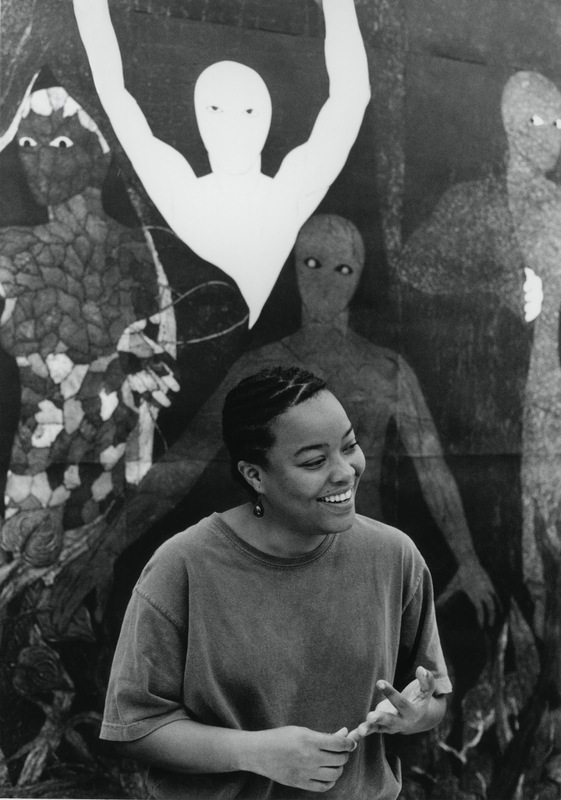 The estate of Afro-Cuban artist Belkis Ayón (1967-1999) helped organize a retrospective of her work for the Fowler at UCLA and it's had a few months at the Museo del Barrio. 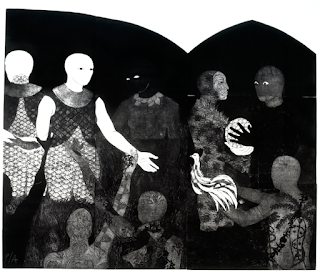 It is rare to see something this unique: collograph prints, all black and white after early stabs at color, of the mythology of the traditionally all-male Abakuá secret society, comprised of Nigerian emigrés living in the west of Cuba. Princess Sikán finds the magic fish that can bring peace and prosperity to the world by embodying an ancestor's voice, she is forced by her family into hiding but conveys the secret of the fish to her boyfriend from the enemy tribe, for which her family hands her over for sacrifice. The fish died, the boyfriend tries to craft a drum to conjure the voice and, thinking her blood would help, kills her, and when it didn't help a male goat's skin formed the drum, leading to the society's rituals. 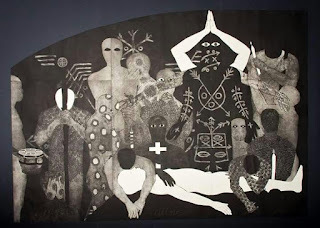 From the beginning she was identifying her individual experience in the figure of Sikán, its feminization of Christian sacrifice hit home by the setting of Cuba, and the citation of the particulars of her life within the myth accelerated in the years before her mysterious suicide. Cristina Vives, her friend who curated the show, recalls "as for the critical commentary to date, most of it is regrettably devoted to narrating the Abakuá myth.. 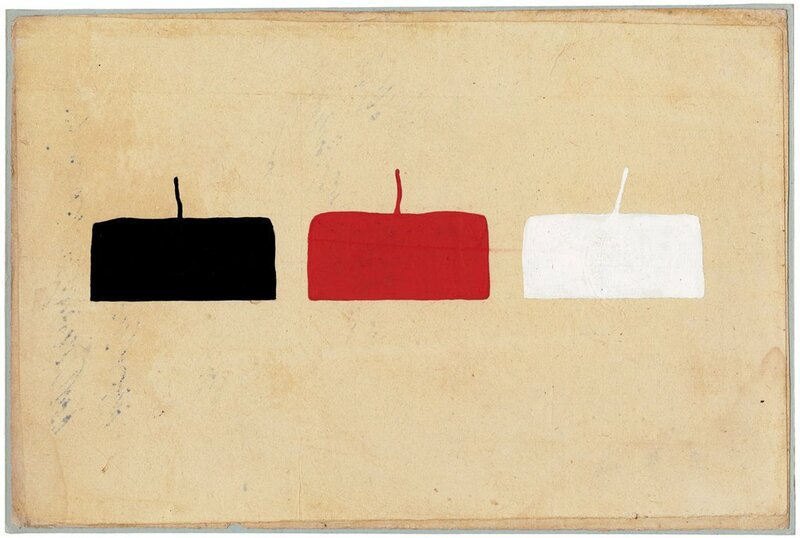 The art establishment can make or break and artist.. Belkis was simultaneously 'made' and 'broken.' For Belkis, a change was necessary, and she needed to divest her work of the Abakuá myth in what was tantamount to a form of exorcism.. She did everything she could to achieve and to have us come closer to a level of social performance that was ultimately impossible.. She was excessively idealistic.. not well prepared to accept mediocrity.. questioned each of her actions and works.. immensely frustrated when she had to acknowledge that the reality she hoped for doesn't exist." 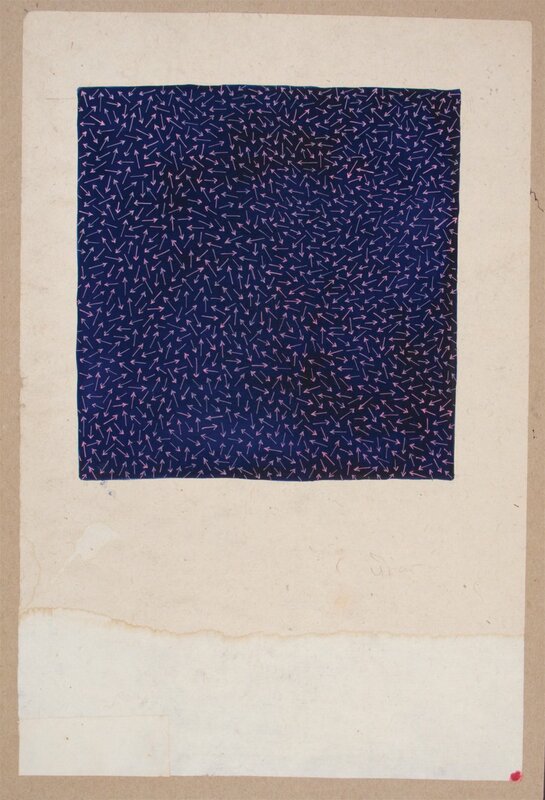 Also, the poet Franck André Jamme made several trips to India over the course of of sixteen years to find in Rajastan the tantra paintings he was looking for, so you can see a selection of them in one room at 33 Orchard. Moorkerjee and Khanna explain “as images of primal energy yantras reveal the varying scales of reality which denote cosmos, infinity, time, space or the play of polarities.. ‘Transcending the tattvas [elements] is the Bindu' (Yamala) .." the central point that serves as “the vehicle of the mind, an area which is the meeting-ground of subject and object." Here one finds a four painting suite of The Expansion of Bindu, beginning with such a point and accumulating images left to right. 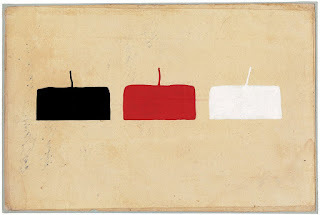 Another depicts the three gunas (luminosity, dynamism, and inertia) in differing colors; two others are ‘an exercise to identify the precise shade of color’ in groups of three, and another illustrates ‘energy traveling through, and regulating the colors of the world.’ Jamme filled a whole book with paintings he found of Shiva lingas; here there are two including one containing 'the dance of the atoms; also the alliance between Vishnu and Shiva.’ A black square with a triangle depicts Kali, the goddess of temporality about whom Ramakrishna said “You see her as black because you are far away from her. Go near and you will find her devoid of color."